Fully applicable to Office 2016, 365, 2019, Written for Windows 7 and 10; but majorly applicable to MAC OSX. Yes, that’s possible. 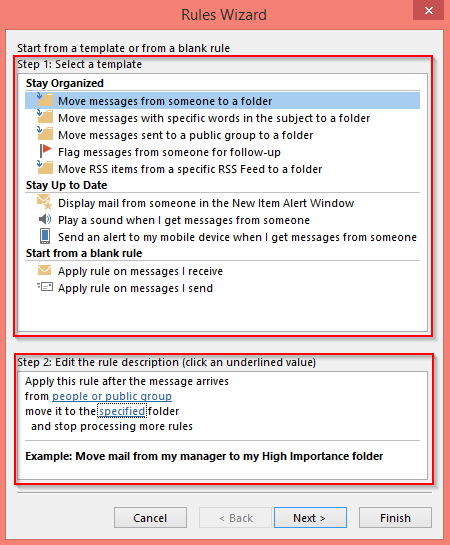 For simple automation tasks like the one mentioned below, we use Outlook rules. Play a sound when you receive an email from somebody specific. 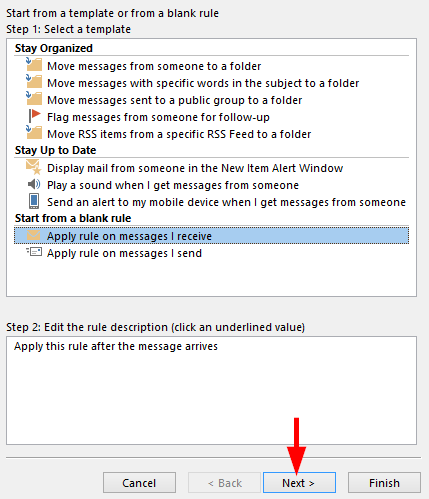 Display a specific alert message on specific emails. Adding yourself as bcc (blank carbon copy) on outgoing emails and save attachments on your personal computer. Today we’ll learn how to have Outlook forward email to additional recipient mailboxes. But first off, lets learn how to setup a simple rule. On Outlook, Hit Home and select Rule drop down in Move category. 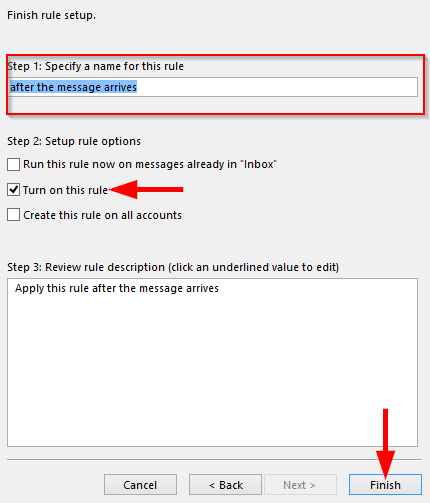 Click on New rule in the Email rules to setup a new rule. Select any template according to your needed one. We can edit the description like setting the email address, which can be done in the step 2 and hit Next. Then select anyone of the conditions you want to check and hit Next. Now select anyone of the actions that has to be done to the mail and hit Next. If necessary, you can set any exceptions and select Next. Set name for the rule also make sure the rule is turned on and click Finish. To check if the rule is working click Run rules now. As an example, Let us setup a rule to automatically forward the mail when I receive from someone. Procedure is given below. In the template we start from a blank rule where we apply rule on messages I receive. We setup the condition as from people or public group. 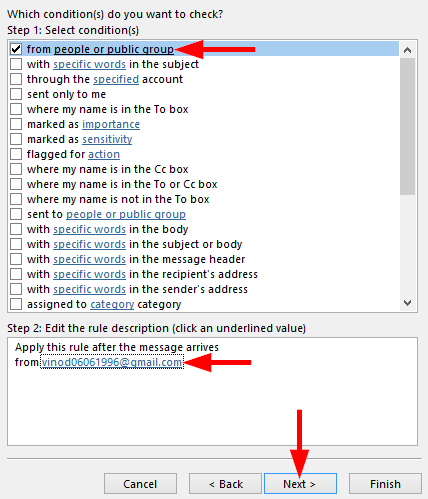 In the edit rule description we set mail address what action has to be done when we receive a mail from. Select action is set as forward it to people or public group. As we don’t need any exceptions, we ignore it. Named the rule as Forward, check on Turn on rule and click Finish.